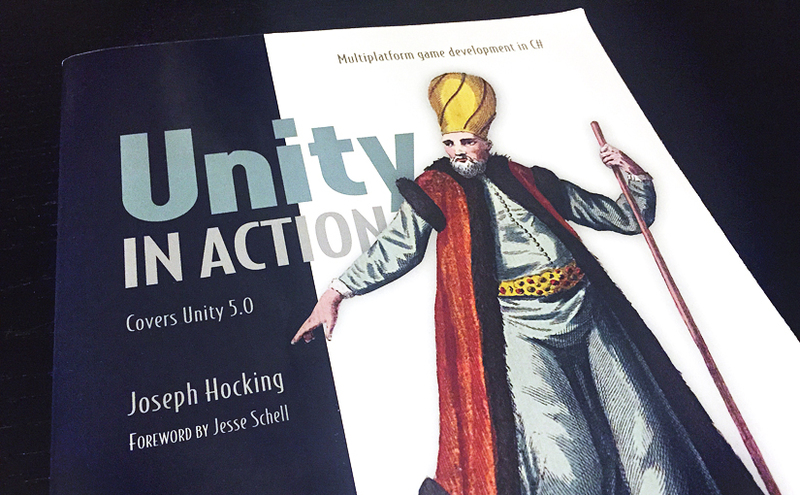 Over the past few weeks, I’ve been working my way through Unity in Action by Joe Hocking. The book does an amazing job of getting you up and running in Unity very quickly. I was excited to see that he even covers a bit about basic 3D modeling and UV mapping in Blender. I made a concrete bench. Woo! Really though, it’s so fun. What’s mind blowing is how quickly the book gets you implementing components like first and third person cameras, HUDs, animations, physics, and even HTTP requests. And Unity makes this stuff dead simple. It really is unbelievable. Anyway, I highly recommend the book if you are looking to learn a bit about Unity and game development. Oh! And purchasing the physical book comes with free electronic versions including pdf and Kindle. Nice!